I have worked on a variety of important patent infringement, trademark infringement and trade secret misappropriation cases. I represented a Kimberly-Clark subsidiary, I-Flow Corp., in a medical device patent infringement and trade secret misappropriation case involving an important drug delivery system. After a month long trial, we achieved a favorable jury verdict. I represented the Automobile Club of Southern California in a trademark infringement and unfair competition action where we obtained summary judgment in favor of the Auto Club that helped demonstrate the dominance of its mark. I have also presented a number of oral arguments to the Federal Circuit Court of Appeals that have resulted in precedential decisions that contributed to the evolution of patent law in the United States. I began practicing law at an intellectual property boutique in Minneapolis. After moving to California, I briefly tried my hand at running a small firm as a founding member of Zelkind & Shackelford LLP. I joined Knobbe Martens in 2005, where I have continued my intellectual property litigation work. In the Fall of 2007, I also began teaching Patent Law. 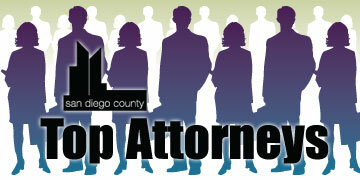 I served on the board of the San Diego Intellectual Property Law Association, where I was president in 2009. I am a Barrister alumni of both the Louis M. Welsh Inn of Court and J. Clifford Wallace Inn of Court. 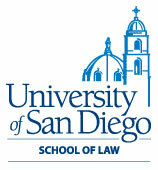 For the past five years, I have sponsored and helped lead the IP Practice Group of the San Diego chapter of the Association of Corporate Counsel of America. I was born in Minsk, Belarus and immigrated with my family to the United States when I was 9 years old. I spent the rest of my childhood in Minnesota, where I learned to dodge mosquitoes and suffer after a variety of cruel Vikings’ losses. I met my wife, Edit, when I was attending law school and she has put up with me ever since. We have three beautiful children and love calling San Diego our home.